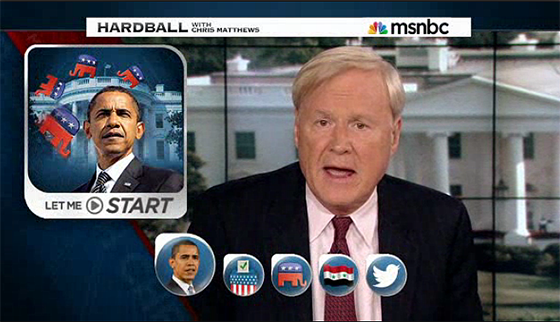 “Hardball” tweaked its opening tease graphics this week, dumping the Apple knockoff. The previous graphic resembled the Mac OS X dock, with the stories floating as icons on the dock. The new graphic has been streamlined, and the OTS side has moved to the left.